The country of India is filled with ancient temples and each ancient building has significant cultural value. These ancient temples are not located only in large cities but also in the smallest villages and towns. Many of the first ancient temples were cut out of rock or caves. Most of the ancient temples of India are inspired by religion. Many of the pyramidal structured temples are in honour of the Hindu Faith. The ancient temples today not only have religious meaning but also store countless amounts of ancient knowledge and culture. Many of the ancient temples in India are a part of pilgrimages drawing visitors from around the world. The temples are designed with simple but brilliant carvings and the carvings only enhance the structure. The ancient temples represent the height of civilization and are memories of the regions golden times. The Konark Sun Temple has religious significance as it is designed in worship of the sun. The temple is designed in the form of a huge chariot drawn by seven horses and twelve carved wheels. The walls of this temple are beautifully decorated with carvings of divine and semi-divine beings and animals. The Konark Sun Temple is one of the few remaining temples of its time period. The temple and its significance are celebrated in the region each year at the beginning of December. The Golden Temple is the inspirational and historical centre of Sikhism; however, it is not a mandatory place of worship or part of a set pilgrimage. The Golden Temple has a door in each cardinal direction and the door panels are highly artistic. The ancient temple has gained symbolic value over time and today is considered one of the greatest architectural designs in the world. The Mahabalipuram Temple is located just south of the city of Madras in India. This ancient temple is surrounded by many monuments. This area of India is covered with sculpted scenes, temples and caves. The highlight of the region is a group of five free standing temples that were carved out of large boulders. There are also statues carved into lions surrounding the temple. The beaches of India have ravaged this area with sand; however, the carvings remain intact today. The Meenakshi Temple is located in the city of Madurai, India. This ancient temple towers over the city and occupies six hectares in the heart of the city. The temple is beautifully designed as it features detailed carvings of gods, goddesses, mythological figures and depictions of stories. 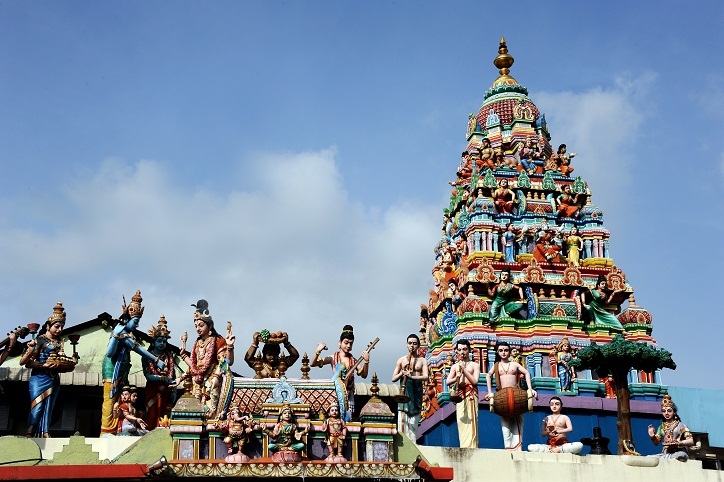 The temple is a prominent attraction in the city for local residents and visitors alike. The Meenakshi temple attracts many visitors from the country of India and around the world as many people pass through daily.